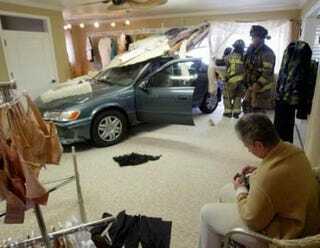 72-year-old Margaret Alverson crashed her Camry into a Chico, California boutique Wednesday. Rather than blame the car, she admitted mixing up the pedals. Since she was visiting a "bookkeeping service" I'm guessing she'll never read this, but good work Margaret.